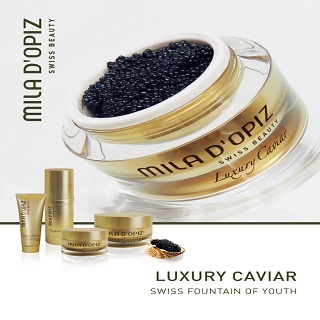 Mila D'opiz - The concep and objective for the Mila D'opiz products are hight quality and optimal skin care. From the begining Mila D'opiz make it her mission to provide well-being for poeple through innovation Skin care research and development. Most of Mila D'opiz products are mineral oil and paraban-free. 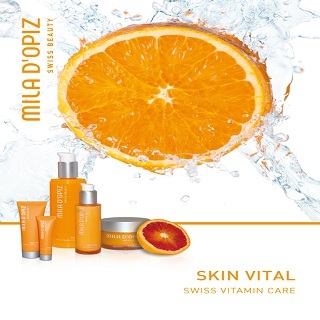 For more informaiton about Mila D'opiz skin care, please visit www.miladopiz.com. Mila D'opiz products are made from Swiss Natural Plants and Glacier Water. Our Mila Signature Facial is customized to your special needs and include a thorough skin analysis to ensure that your treatment is perfect for your skin type. Each treatment focuses on your specific concerns. The highest quality products are recommended for your home care program so, you can get maximum benefits. 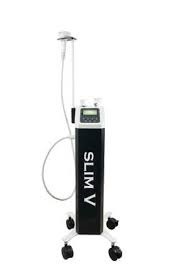 A revolutionary facial to help skin recover internal and external dehydration. A The complexion looks visibly fresher and velvety-soft. The skin feels smooth and more elastic. All types of skin will benefit from special moisturizing. Deep pore cleansing, removing impurities and dead skin cells, visibly enhancing and permanently improving the skin condition, giving a clearer and fresher complexion. The Powerful anti-oxidant, combination of the vital vitamins A, C & E, through the special encapsulation of vitamins, supports the micro circulation of your skin and reverse environment UV radiation, pollution as well as stree. Reduces wrinkles depth, skin regeneration, soothing, moisturizing, firming, strengthens skin structure, hightly improves the condition of the skin for mature, tired, wrinkle prone skin, even sensitive skin. Regenerates skin natural balance, improvement of skin structure and elasticity, intense moistruizing effect. Helps to alleviate irritation and to restore moisture. Free of parabens, Pragrances, colorants and silicones. 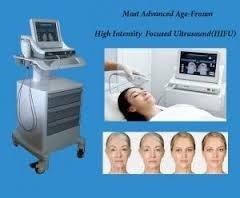 HIFU Beauty is the latest technology for skin rejuvenation, you will achieve in 1 treatment tighter, firmer, lifted skin which will make your face look younger and healthier. HIFU is a relatively new, non-surgical alternative to face lift. Purifying and detoxifying back treatment includes Swiss flower scrub and herbal Mask, followed by soothing scalp, shoulder and back massage. Collagen, Vitamin C, Microdermabrasion, etc.